jbs inspiration: Edges & Headings: Inspiration from our Digital CT! Edges & Headings: Inspiration from our Digital CT! 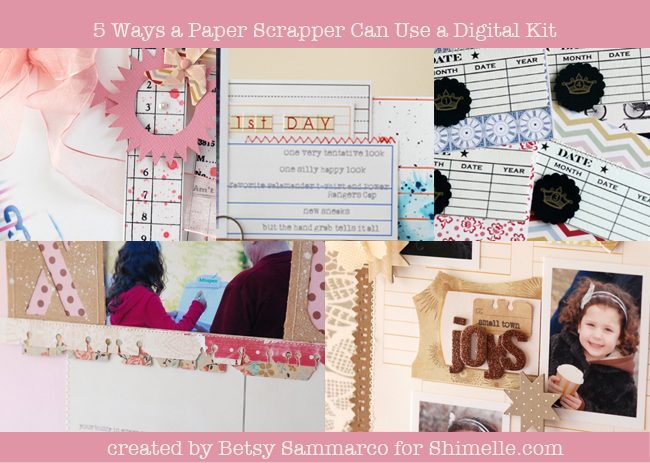 Yesterday, Betsy Sammarco gave us all a look at how paper scrapbookers can easily use the latest release in the JBS Digital Shoppe - Edges & Headings in their own pages. 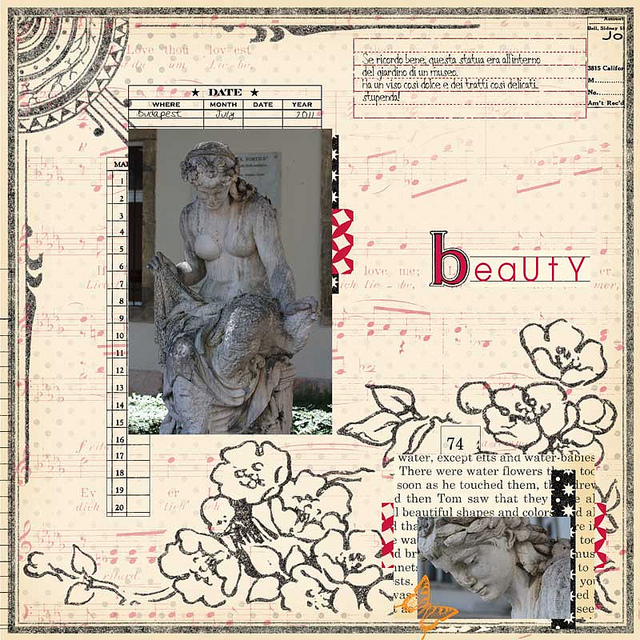 If you haven't had the chance to oogle these beautiful hybrid layouts by Betsy herself, well then click here! Today, we'll let the JBS Digital CT gals inspire you with their digital pages using this very versatile kit! The Edges and Headings Kit consists of 9 great vintage strips and blocks that are great for adding borders, edges, blocking or even journaling to your pages. And best of all--they come in a variety of file types which allows them to be easily recolored and used as brushes, fashioned as clipping masks or simply to add as plain old elements in your digital scrapbook pages. 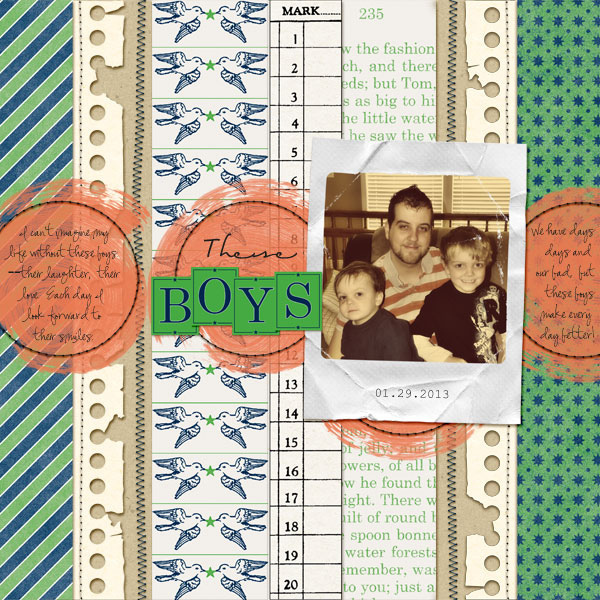 Here I've used a couple of the strips from this kit and paired them with patterned papers from the Varsity Collection to create a fun and dimensional-looking foundation for my page. 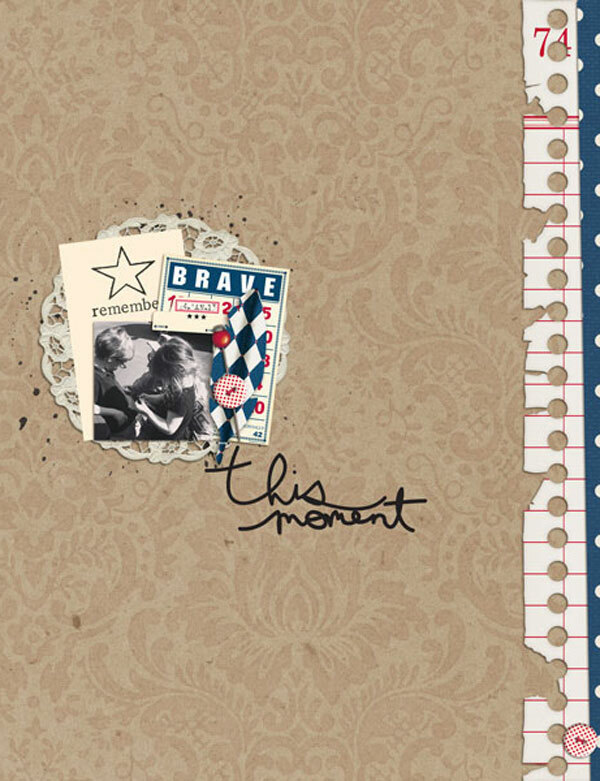 Brynn Marie Dukes combined the notebook edge from this kit with a patterned paper to add a striking vertical border the the right side of her page. And Chiara Castelluccia has used a combination of the strips and blocks stamped onto her background to house her journaling date and to ground her focal photo. 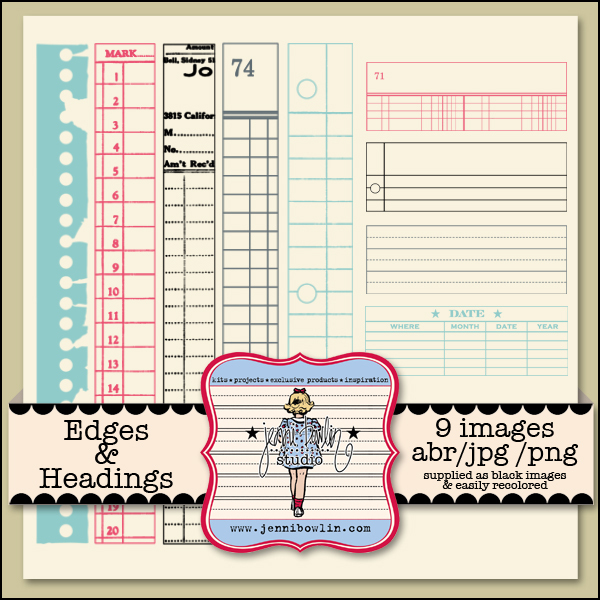 Remember that the Edges and Headings Kit will be 25% off through Sunday, February 24th--so grab them while they're on sale and get scrappin'!